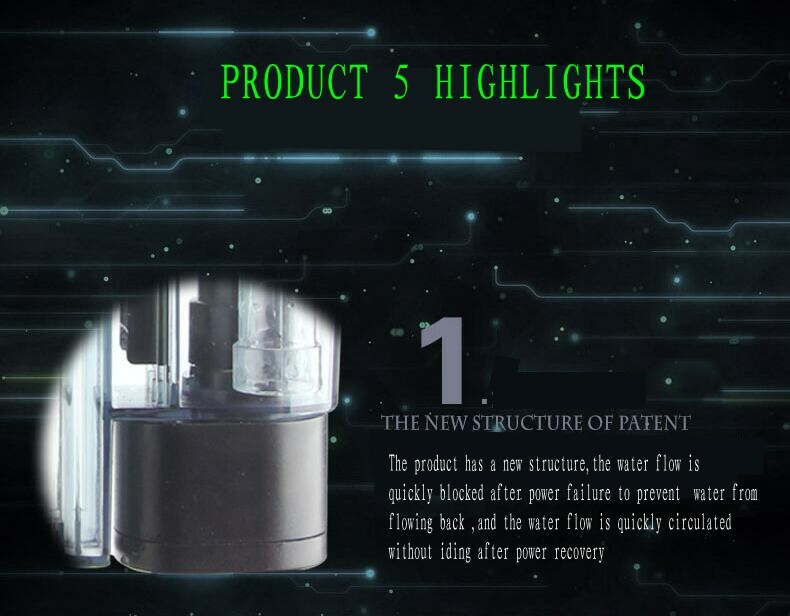 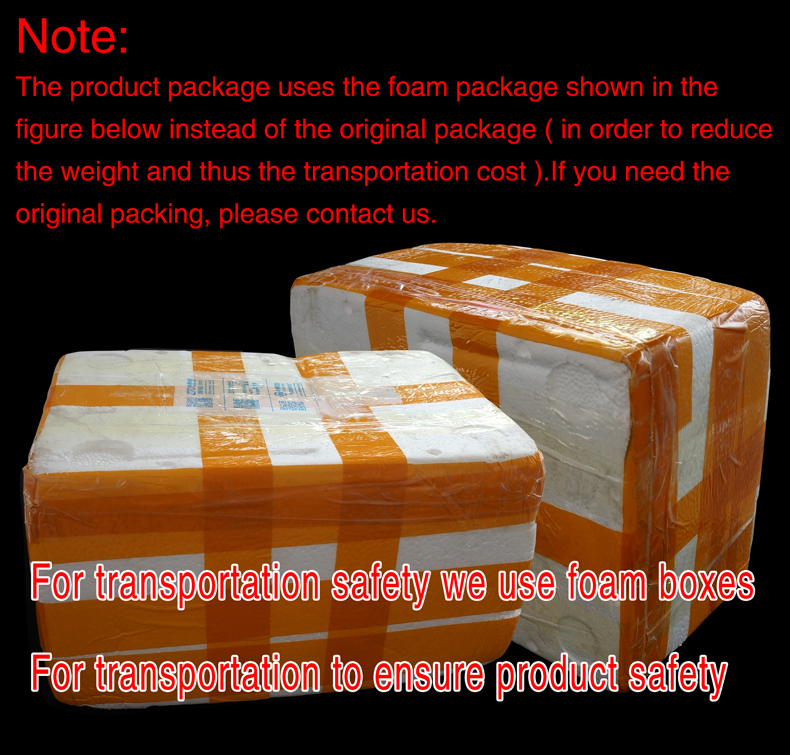 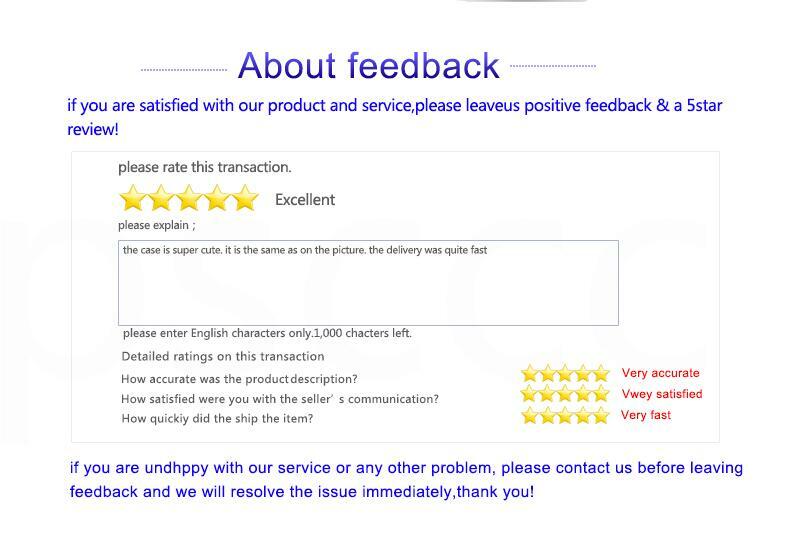 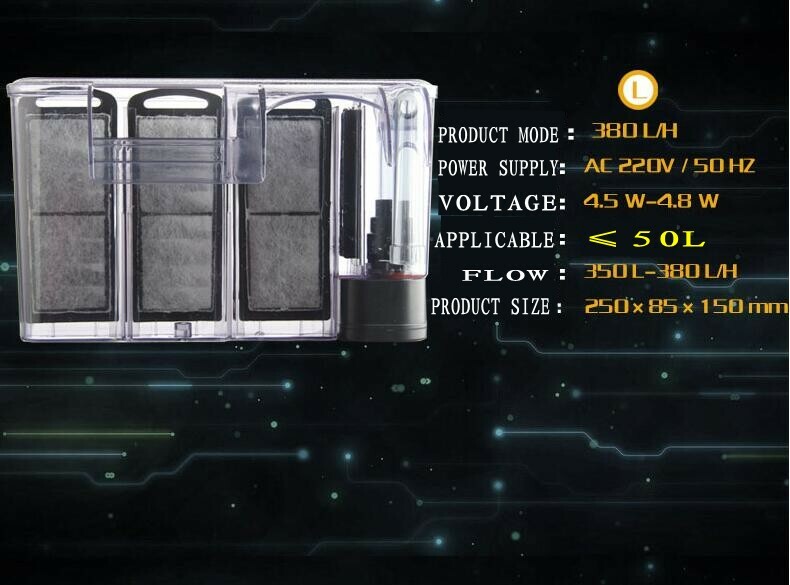 1.The product has a new structure,after power faiure,the water flow is quickly blocked to prevent backflow of water ,after power restoration ,the water flow is rapidly circulated without idling. 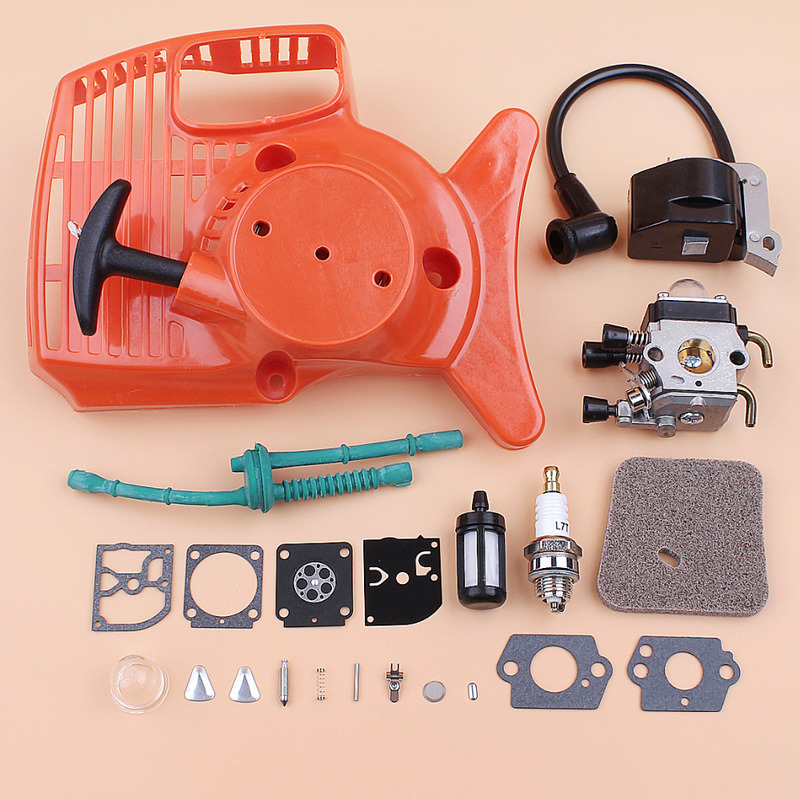 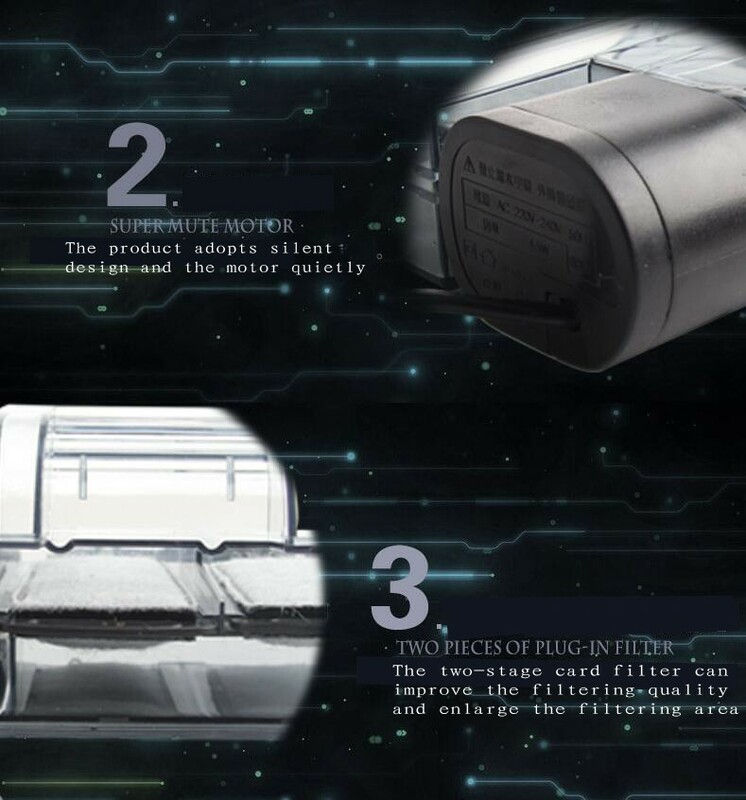 2.Product adopts mute design ,and the motor operates quietly. 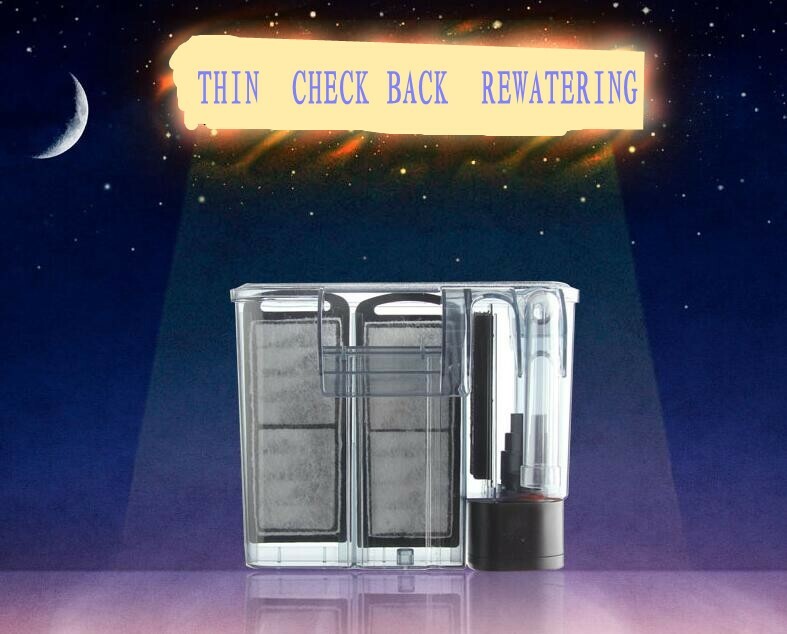 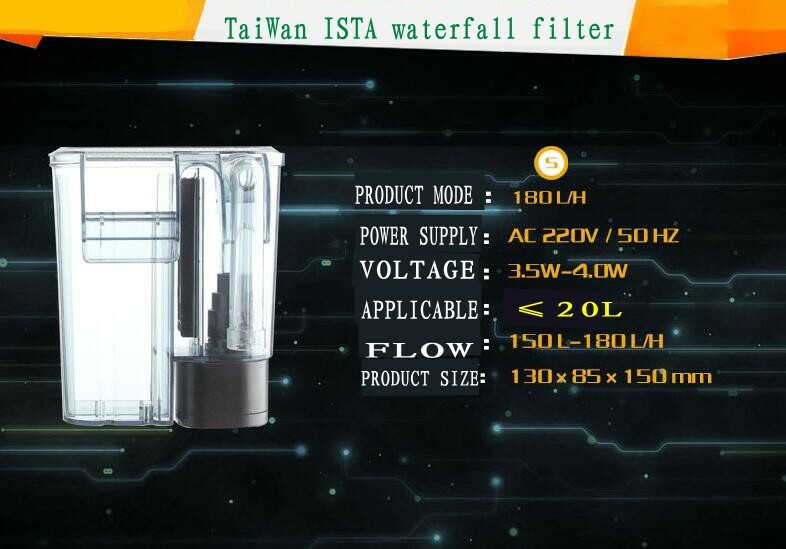 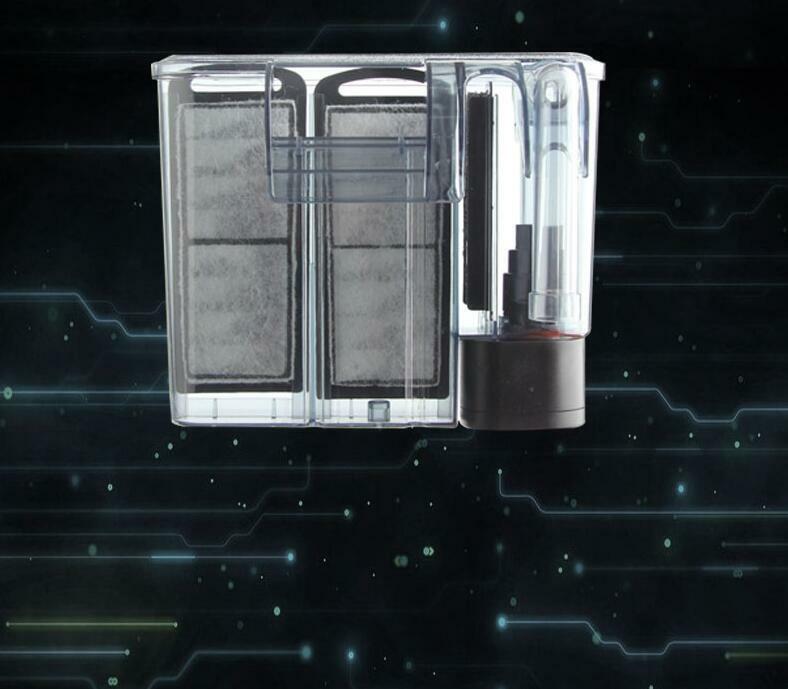 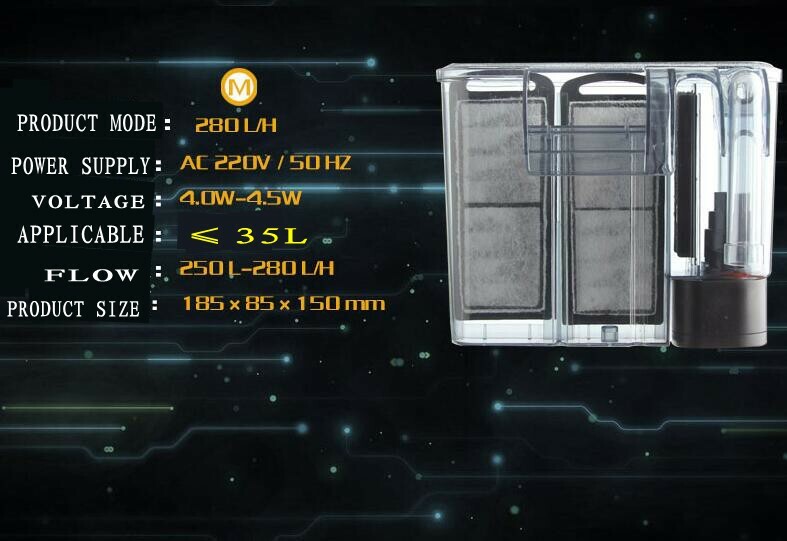 3.The two-stage cartridge filter can improve the filtration quality and increase the filtration area. 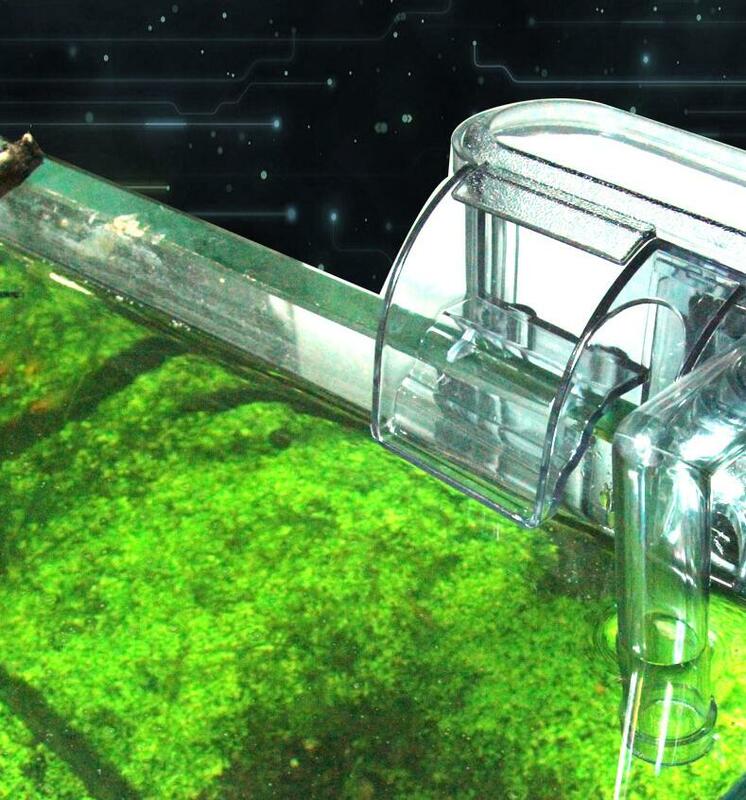 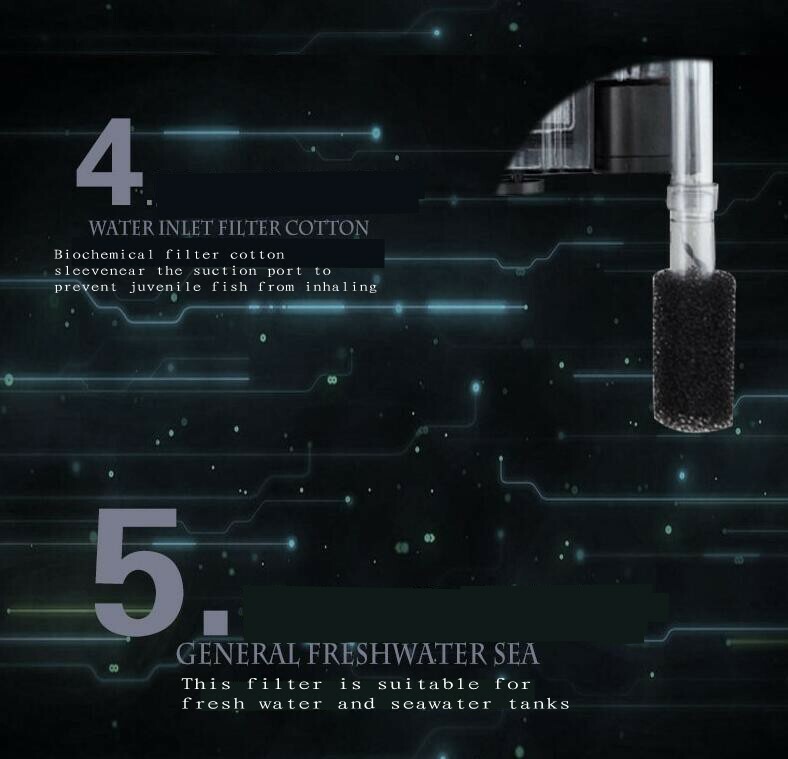 4.A biochemical filter cotton sleeve is arranged near the water suction port to prevent young fish from being sucked in. 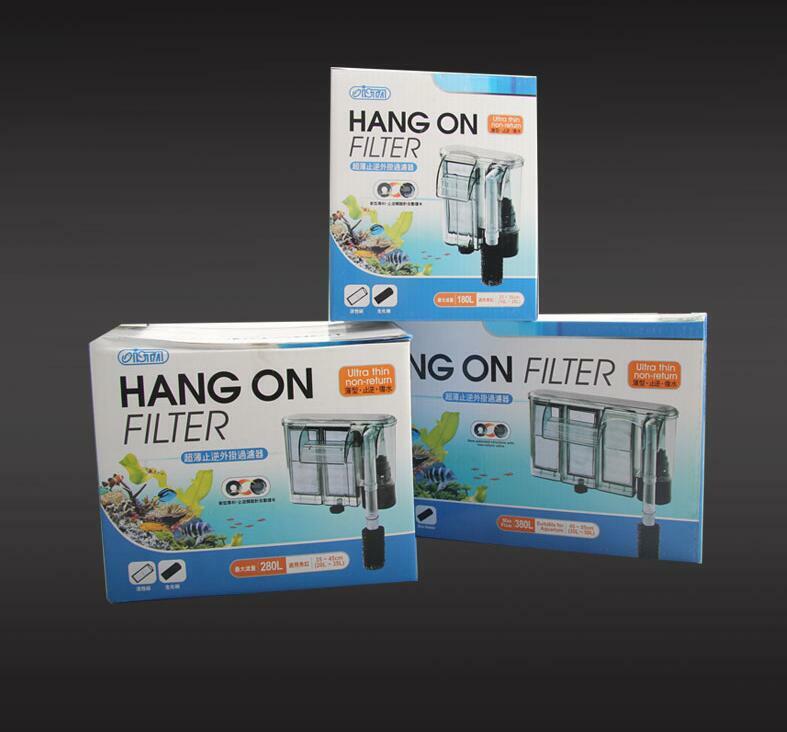 5.This filter is suitable for both fresh water and seawater.